A true abstract crafted by Gus G. utilizing reflection, Blackfire is rich in figures and shapes that will leave viewers discovering new elements upon each viewing. Interesting to note, the guitar neck and frets appear to be almost skeletal within the work’s visual. Measuring 30”x 40” on canvas, there are a total of 10 canvases available in the edition. All are numbered and individually signed by Gus G. and SceneFour. • Measures 30" x 40"
Gus G. is one of the most recognized guitar virtuosos in heavy metal worldwide. From 2009 to 2017, he was the chosen axeman to Ozzy Osbourne, touring the world and performing to millions. Outside of his work with Osbourne, Gus G. leads the band Firewind, who have released eight albums over two decades. As a solo artist, Gus G. has released three highly acclaimed records, "I Am the Fire," "Brand New Revolution" and "Fearless." 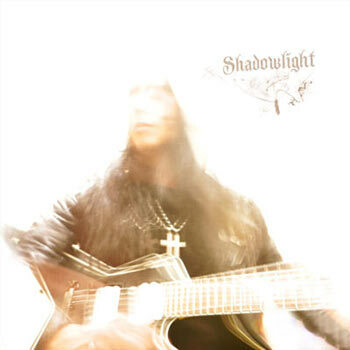 With the Shadowlight collection, Gus G. debuts a new talent by creating fine artwork from his guitar wizardry. Available exclusively at GuitarArtGallery.com, each of the pieces in the Gus G. collection are highly limited in edition size. Gus G. is one of the pioneers of a new medium in art, built from guitar performance. 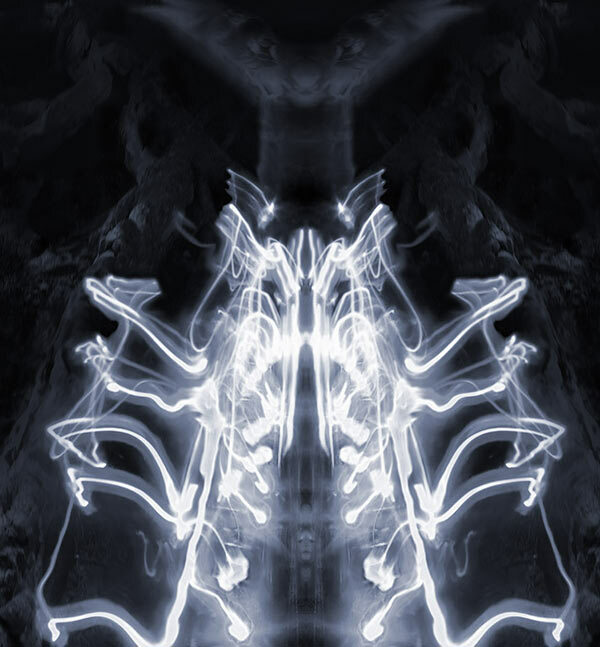 To craft the work, Gus G. worked alongside art team SceneFour to create the visuals seen in the Shadowlight collection. A sophisticated process involving a customized glove that notates fret choice and style into a visual, the construction of the Shadowlight collection was nearly a year in the making. 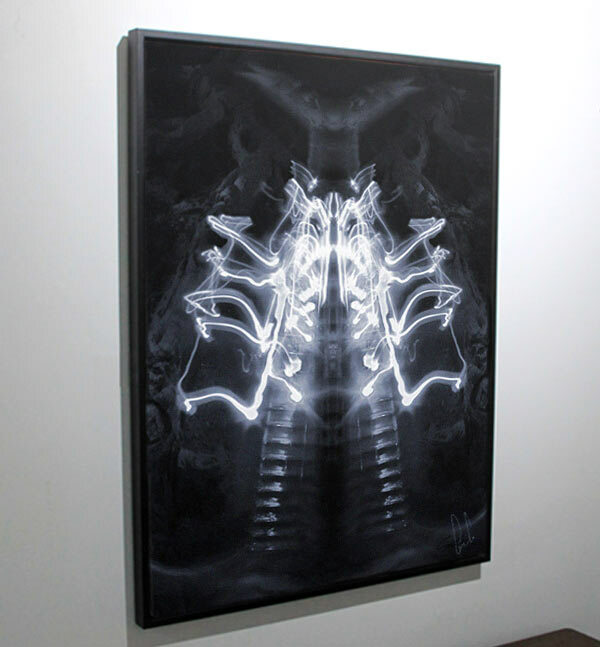 In total there are nine different works on canvas, each available in highly limited editions. All are numbered and individually signed by Gus G. and SceneFour.